Let our team of experts help plan your next trip. We offer one stop shopping for all of your group's needs. 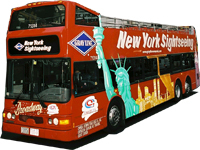 We provide high quality double decker buses and motorcoaches for sightseeing and local charters. We also provide group airport transfers, tour guide services and professional meet and greet services in any language, group dining, attraction visits, theater tickets and more. 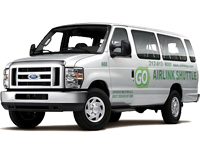 We operate a modern, clean, and meticulously maintained state-of-the-art fleet. The following list shows the many types of vehicles available to your group. Convertible-style double decker buses -no roof! During cold weather periods, Gray Line NY has designed a removable canopy constructed from a clear, see-through material, allowing both warmth and complete visibility. Please be sure to request any special needs you may have regarding additional equipment when booking your charter bus. 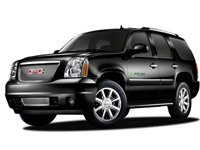 All of our vehicles are operated by a team of professional, trained and courteous drivers who know the City. Designed with the latest model equipment, to handle up to 6 passengers through any weather condition, guaranteeing you a safe and pleasant ride. Our New VIP SUV offers the carrying space of a minivan with a towing capacity of 4x4 off road truck. Three rows of seats with additional cargo room for luggage provide a roomy and spacious journey to your destination. *We comply with all ADA regulations. A 48-hour notice is required for wheelchair accessible vehicles. In order for us to best assist you, please fill out the form below and we will respond promptly to your inquiry. The information collected in this form is used for the sole purpose of providing you with a quote for the requested services. Gray Line New York will never distribute any personal information that you provide to us in this request form to any unauthorized or third party individuals or companies for any reason. 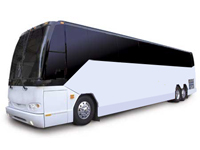 We look forward to helping you with your bus charter needs.